On-farm talent is vital to the success of the Entrepreneur Agrarian fund. Properly assisting and training agrarians to best manage farm enterprises will be imperative, and too doubles as a retention strategy for the success of each venture. 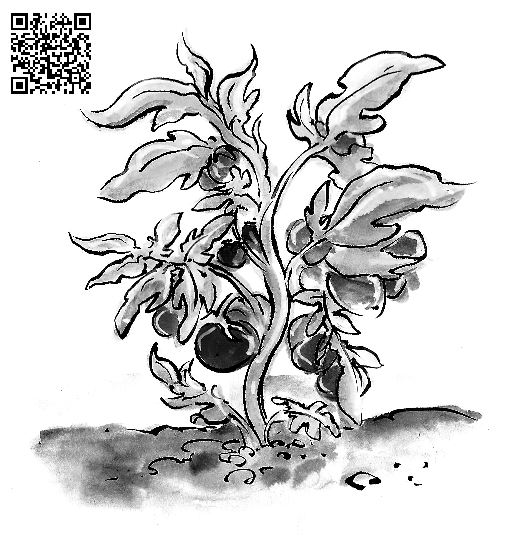 Furthermore, foods produced on EAF farms will be promoted based on the success stories of each artisan farmer. Amplified to craftsmen and women of food, and celebrated for their skills, EAF farmers receive acclaim for their quality products & skills comparable to that of well publicized master-chefs. This unparalleled real-food quality from raw materials coming from their farm is the foundation to implement supply chain transparency and create value for all stakeholders. 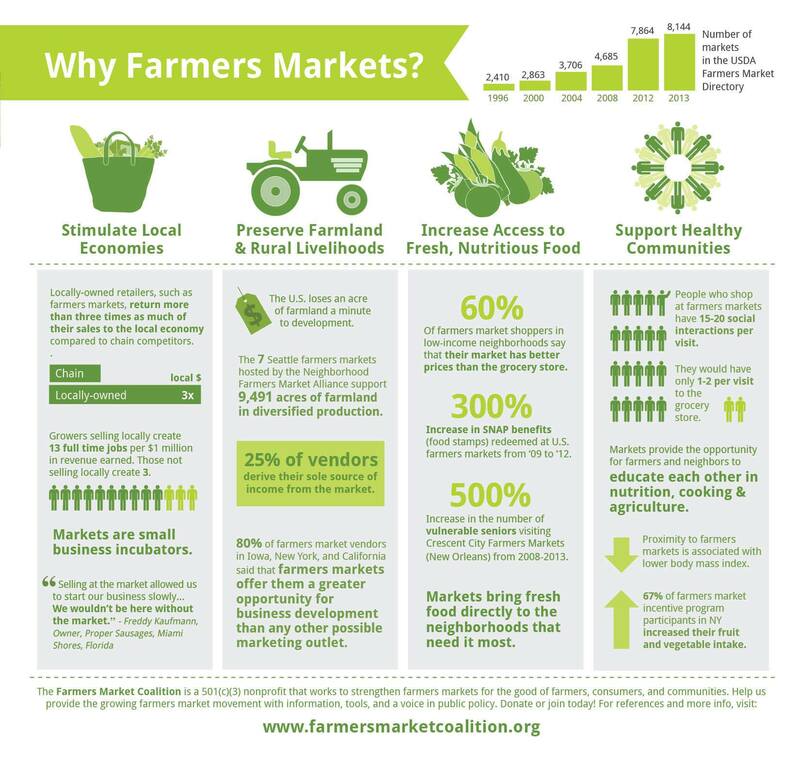 It’s the goal of the EAF to promote better food derived in the NorthEast. By utilizing both undervalued land and workforce, the Entrepreneur Agrarian Fund sets to provide resource that bridge market demand with opportunity for farmers to make a fair and sustainable living. Most importantly, we look to empower current small farmers – whether those agrarians are currently lacking capital to expand; resources to diversify; land locked; short on man-power, livestock, inputs or equipment – the EAF strives to work with small farmer and aggregate organizations who look to scale operations on farms in the NorthEast. Our approach to begin to meet market capacity will rely on farmers, farmers who are entrepreneurs in the truest sense of the word. The EAF provides resources and know-how to afford these entrepreneur agrarians the opportunity to build profitable enterprises on current farms, and strategically grow as increasing market demand begets better returns. A primary driver for the Entrepreneur Agrarian Fund (EAF) is to create strong investor returns through purchasing land well-suitable for diverse agriculture. The creation of Multiple-Output farm enterprises, earmarked to be acquired by operating farm management within a decade, is how both fund and farmer realize their investment. Fund investors gain financial and food security by owning profitable and productive sustainable agricultural land in the NorthEast, and bands of Agrarian Entrepreneurs gain access to prime fertile land, expert guidance, and shared resources to create smarter farms of scale. Beginning with proper livestock management, farm enterprises modify risk through establishing a greater supply of local real-foods to more consumers. Farmers reap the short-term benefit of selling more product to broader audience with better margins, resulting in the opportunity for sweat equity to pay-off in the longer term as farm ownership. 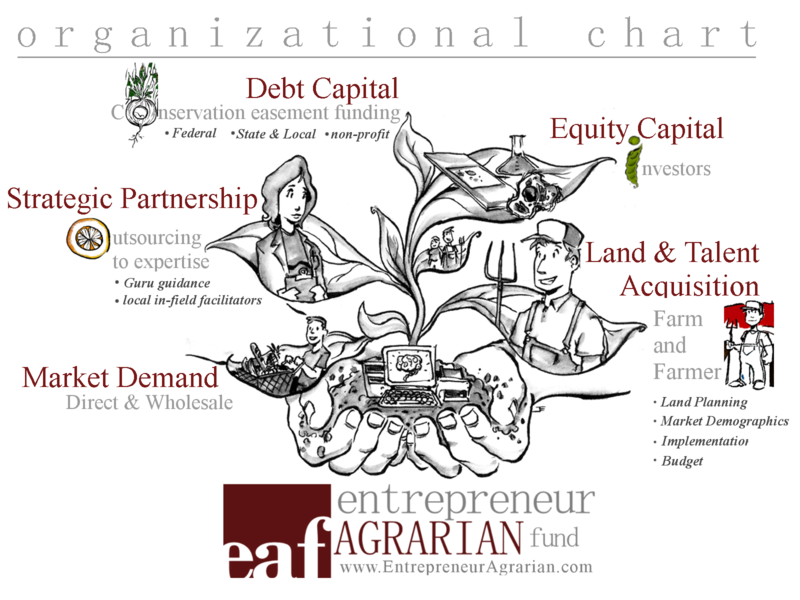 Offering large parcels of fertile conservation land within market proximity, and helping to diversify farm risk through the addition of multiple-crop outputs, seasonal diversity, better customer distribution and retention – the Entrepreneur Agrarian Fund is for the farmer, from the farmer – while remaining responsible to its investors. Throughout New England and New York, the EAF will allocate smartfarms based not only on land topography, soil, plot size, water, market, partnerships and distribution – but equally as important, on the talents of passionate agrarians tending the land. Developing a playbook (best-practice of artisan farm & product) under the watchful eye of globally recognized strategic partners generates diverse quality food products ready for distribution in a smarter network. It’s the goal of the EAF to incorporate the surge of educated, technically proficient and enthusiastic farmers entering the workforce into a funded community grown with the same ideology. When tooled with proper equipment, innovation, knowledge-share and teaming with passionate manpower, EAF smartfarms will demonstrate increasingly profitable, and replicable, by meeting market demand for high quality and more nutritious foods within regional distribution. 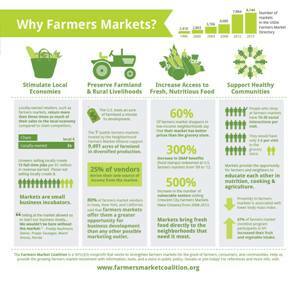 The more consistent the supply of diverse local foods – the larger the full season demand for all farms. In this, the NorthEast is not alone and a successful campaign demonstrates capacity for other regions to utilize a similar Entrepreneur Agrarian Fund model. Food movements are gaining in popularity, and at the heart of each is the allegiance of a more health conscious consumer rapidly demanding trustworthy food. Looking for provenance to better connect with reputable food suppliers, more consumers have begun to look local and direct to regain this trust in food production. With the broad adoption of consumer technology, trust can be uniquely established through transparent farm backstory and supply chain. With the addition of a constant stream of diverse food products from local suppliers, technology adds efficiency to provisioning by bolster customer acquisition, activation and retention. Not to be overlooked, technology is a vitally underutilized differentiator for the local food movement to gain new consumer interest through alleviating consumer blind-faith with conventional food production. 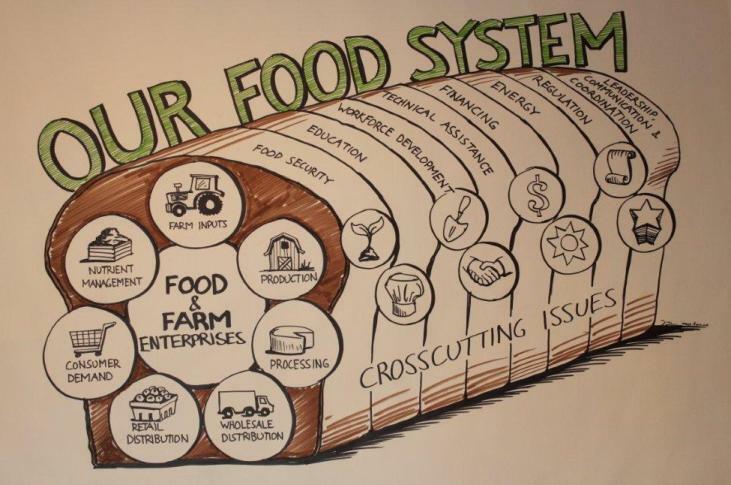 Granular food traceability, from-the-farm storytelling and many ways to improve consumer distribution are innovations that best fix local real-foods direct to consumers through telling a better story worthy of interest.